Shea Butter is nature's hidden secret for beautiful skin. Once a year in the African Savannah, the Mangifolia tree gives up its fruit known as the karite or the shea nut. After being hand picked, the shea nuts are boiled to extract their treasure, Shea Butter. Shea Butter is an ultra moisturizer that penetrates and revitalizes your skin. Shea Butter naturally contains vitamins A, E, and F, essential elements that give your skin the balance that it needs for improved elasticity and to combat dryness. 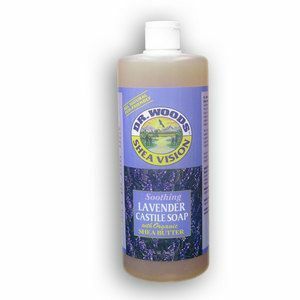 Shea Vission gives you the wonderful combination of Castile soap with organic shea butter and lavender, for a new experience in the shower and bath. Pamper your skin with shea vision. You deserve it! Ingredients: Water, saponified coconut, hemp & olive oils with retained glycerin, organic shea butter (butyrospermum parkii), vitamun E oil (tocopheryl acetate), essential oil of lavender, sea salt, citric acid, rosemary (Rosmarinus officinalis) extract.